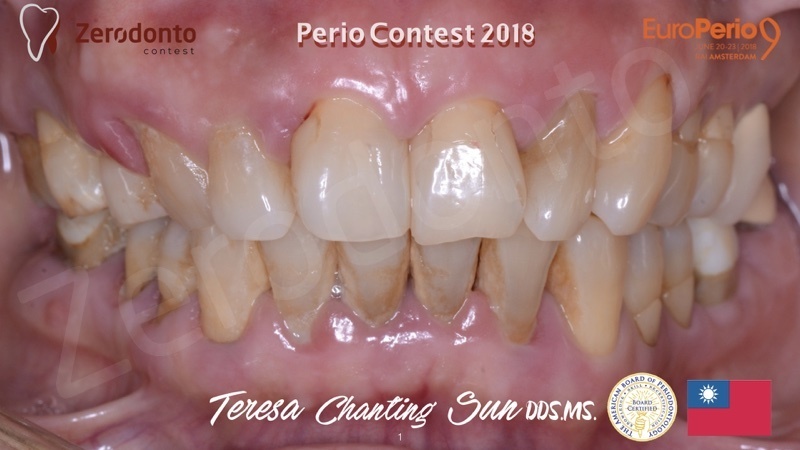 Young patient with high esthetic demands, came with grade II tooth mobility on #10/22. 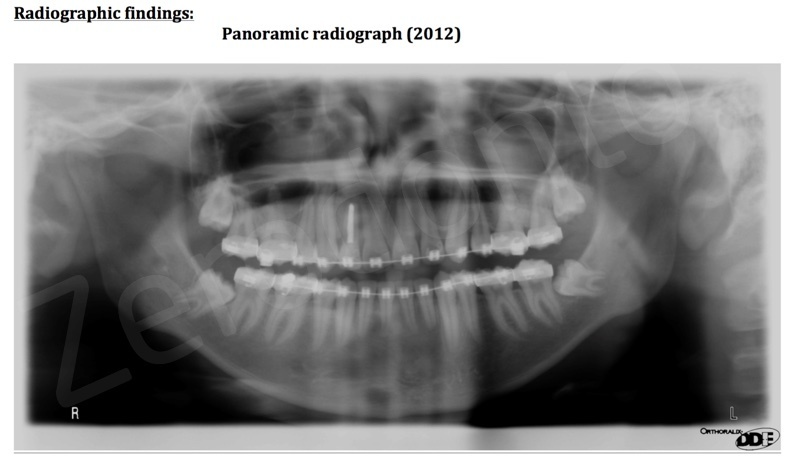 Do you think we are able to change prognosis of previously hopeless teeth to a favorable one? Did micro surgery changed our way to approach treatment in modern periodontology? To start proper treatment we have to identify the etiology. 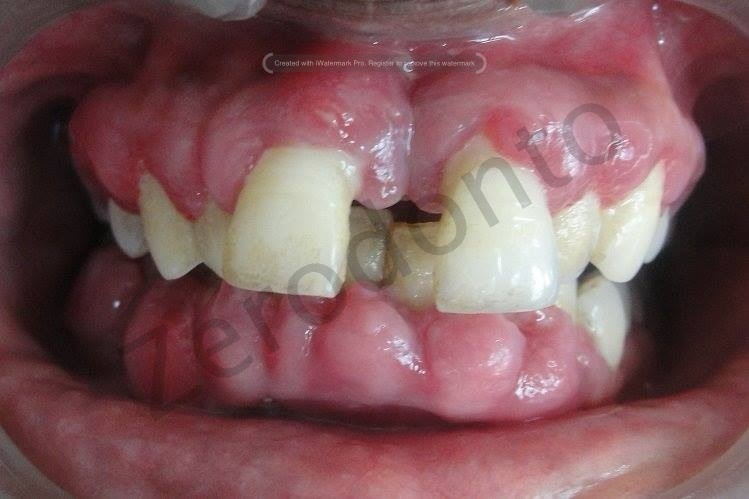 In this case it is Plaque induced periodontitis modified by secondary occlusal trauma. 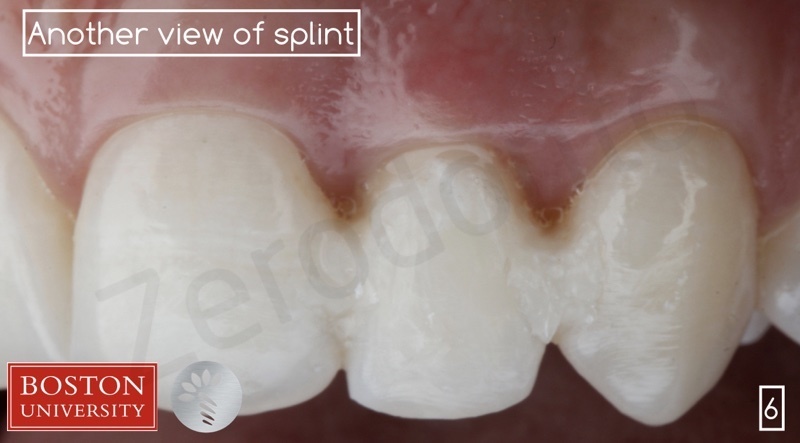 1- Occlusal adjustment and splint. 2- Scaling root planning the area under the gingva and only plaque control supragingivally to minimize sensitivity. 3- Re-evaluation to visualize the bone morphology and set both surgical and patient expectations. 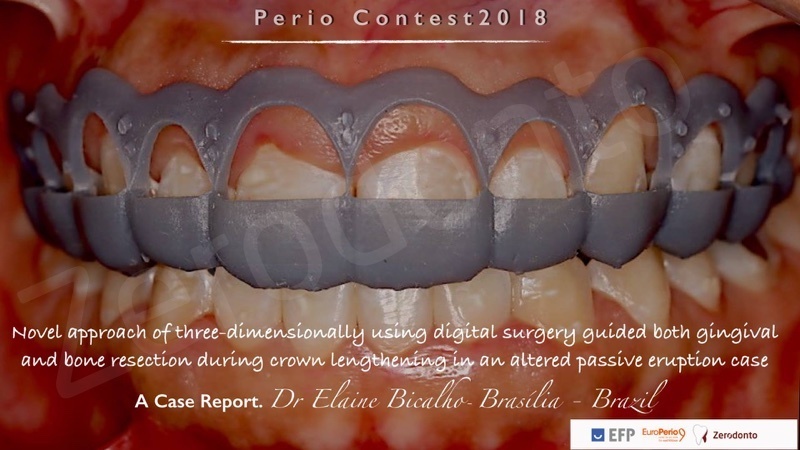 In her case even though there was a huge bone defect and circumferential bone loss, the interdental bone peaks were high and that aided in maintaining the papilla profile. 4- Surgical incision design was done to reduce trauma to adjacent papillae as well as provide maximum visibility. 5- After through debridement and SRP, Emdogain mixed in FDBA was packed and a collagen membrane was adapted to maintain graft stability and cell conclusiveness. 6- Flap readapted with 5-0/7-0 sutures to allow for fast early healing.